Prime Minister Narendra Modi first announced the Start-up campaign on 15th August from the Red Fort. He launched the most awaited movement #Startup India which has brought lots of posibility among the entrepreneurs in India. The event was inaugurated on 16 January 2016 by the finance minister Arun Jaitley. Among the attendees were around 40 top CEOs and startup founders and investors from Silicon Valley as special guests including Masayoshi Son, CEO of SoftBank, Kunal Bahl, founder Snapdeal, Ola founder Bhavish Aggarwal, Paytm founder Vijay Shekhar Sharma, Travis Kalanick, founder of Uber, Adam Nuemann, CEO of WeWork, Sachin Bansal, founder of Flipkart and others. Startup India is an action plan to develop an ecosystem to promote and nurture entrepreneurship across the country. This is aimed at promoting bank financing for start-up ventures to boost entrepreneurship and encourage startups with jobs creation. The launch of Start Up India plan has generated huge enthusiasm among young entrepreneurs. “Start-up does not only mean a company with billions of dollars of money and 2,000 employees. If it is able to provide employment to even five people, it would help in taking the country forward. According to Prime Minister Narendra Modi, “Young people have to change their mind sets from being job seekers to try and become job creators”. A startup is an entity, private, partnership or limited liability partnership (LLP) firm that is headquartered in India, which was opened less than five years ago and have an annual turnover less than Rs25 crore including new startups. To be eligible for considering as startup, the entity should not be formed by splitting up or reconstruction and its turnover should not have crossed Rs 25 crore during its existence. To become eligible as a startup and get a green signal from the Inter-Ministerial Board, the entity should be the one which aims to develop and commercialize, a new product or service or process or a significantly improved existing product or service or process that will create or add value for customers or workflow. The Ministry of Human Resource Development (HRD) and the Department of Science and Technology have agreed to partner in an initiative to set up over 75 startup support hubs in the National Institutes of Technology (NITs), the Indian Institutes of Information Technology (IIITs), the Indian Institutes of Science Education and Research (IISERs) and National Institutes of Pharmaceutical Education and Research (NIPERs). The Startup plan 2016 is based on Self-Certification compliance & proposes to remove compliances with labour laws (like payment of gratuity, contract labour, employees provident fund, water and air pollution acts) and no inspection will be conducted by government officials for a period of 3 years, thereby reducing regulatory burden. This is a great step towards making the things simpler and can focus on innovation devoting lesser time to regulatory norms. A single point of contact for the entire startup ecosystem. Startup Hub will be setup and will act to guide and support for startups and to enable knowledge exchange through their entire journey. There will be Hand holding facility to solve issues of startups and to advise them. In addition, there will be single window clearance for clearances, approvals, and registrations. Startup plan 2016 proposes to create mobile app which would allow entrepreneurs to register applications, tracking of status, etc. Mobile app forum to be launched from 1st April 2016. This will be great advantage for startup regarding registration. Providing Panel of facilitators to provide legal support to startups in filing applications for patents, trademarks & designs under relevant acts. Entire fees of facilitators shall be bear by Government for any number of applications that a startup may file. This action would enable entrepreneurs for hassle free startups and will provide confidence of not losing ideas to any other. 80% rebate in fees on filing of patent application for startups to reduce costs in their crucial formative years. Structure like Chamber of commerce to be formed for legal support. Startups to get equal platform vis-à-vis the experienced businesses in public procurement. For this, Manufacturing sector shall be exempted from the criteria of prior experience or turnover without any relaxation in quality or technical parameters. Provision for fast-tracking closure of businesses have been included in The Insolvency and Bankruptcy Bill, 2015 to make it easier for startups to exit. Startups with simple debt structures may be wound up with in 90days from making application for winding up on a fast-track basis. For development and growth of innovation driven enterprises, Government will set up a fund with an initial corpus of Rs. 2500/- and a total corpus of Rs. 10,000/- crores in next 4 years. To inspire entrepreneurship through credit to innovators across all the sections of society, credit guarantee mechanism through NCGTC (National Credit Guarantee Trust Company)/SIDBI shall be rolled out with a budgetary corpus of Rs. 500 crores for the next four years. If capital gains are invested in Funds of funds recognised by the government, Capital gains tax exemptions shall be there. And in addition to this, existing capital gain tax exemption for investment in newly formed manufacturing MSMEs by individuals shall be extended to all Startups. Startups setup after 01 April 2016 shall be exempted from income tax for a period of 3 years for promoting the growth of startups. Innovation focused Programs shall be initiated to target school kids with an outreach to 10 lakh innovations from 5 lakh schools. A grand challenge program to support and award Rs. 10 lakhs to 20 student’s innovations. 10 world class incubators to be selected and these would be given Rs. 10 crores each as financial assistance which may be used for increasing the quality service offerings. Government shall set up 7 new research parks including 6 in IITs (Indian Institute of Technology) & 1 in IISc (Indian Institute of Science campus) with an initial investment of Rs. 100 crores each for expertise of academic/research institutions. Funding support shall be given by government for establishment of new incubators in existing institutions. Startup India 2016 announced the launch of AIM. Atal innovation mission shall have the functions of Developing sector specific incubators, establishment of tinkering labs & 3D printers across countries, pre-incubation training, strengthening of existing incubation facilities, seed funding etc. AIM will be an Innovation Promotion Platform involving academics, entrepreneurs, and researchers drawing upon national and international experiences to foster a culture of innovation, R&D in India. The platform will also promote a network of world-class innovation hubs and grand challenges for India. To promote investments by Venture Capital Funds and incubators, investment made above FMV shall be exempted. 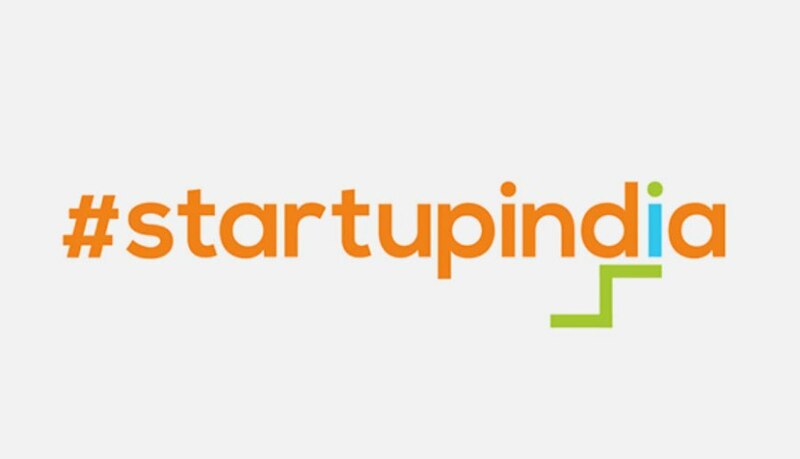 Startup India 2016 has announced the setting up of 31 centres of innovation and entrepreneurship at National Institutes, 13 startup Centres & 18 Technology Business Incubators. New policies for women entrepreneur shall also to be framed. 21. Focus on zero defect & zero effect. Startup Action Plan will bring the aspiring entrepreneurs and investors on a common platform. It’s a great step that will extract the innovations & ability of Indians to innovate and solve the unique problems that we face in our country. It will bring the aspiring entrepreneurs and investors on a common platform.